These Easy Paleo Brownies are made with simple ingredients like eggs, maple syrup, almond flour. Because they are paleo, they are dairy-free, gluten-free, and made in twenty minutes! Everyone is going to go crazy for this low-carb chocolate dessert! Raise your hand if you remember one of your first ever baking memories being making a batch of brownies from a box? I remember whenever we had a school function or birthday party to go to, I would jump at the excuse to make brownies. They were easy (like adding an egg + oil + water easy) and it meant I could eat the batter. I used to even make the brownie batter without the eggs so I could just eat it plain. 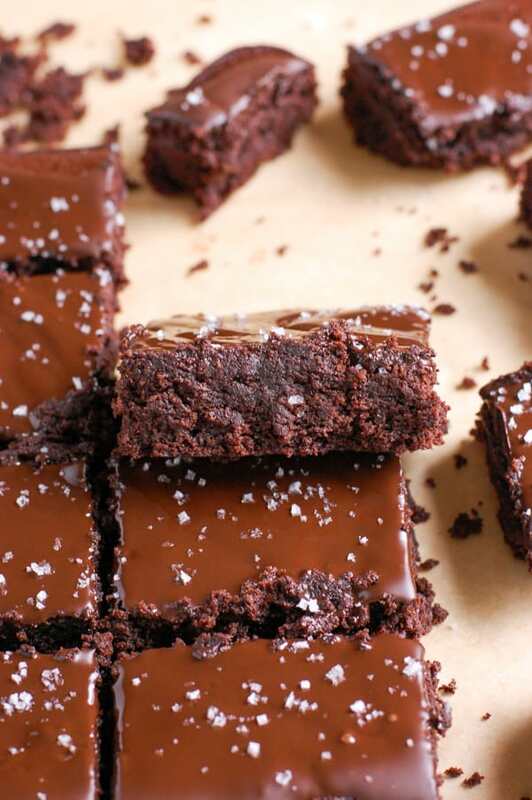 Being a chocolate lover, I would do anything for the chance to get my hands on a gooey, rich brownie, and since I’ve kinda made it my job to create healthier recipes, I knew that I needed to perfect the easy paleo brownie. They are easy to make, made with nutrient dense better for you ingredients made from real food, and can be ready from start to finish in less than thirty minutes. Twenty if you’re super (wo)man. 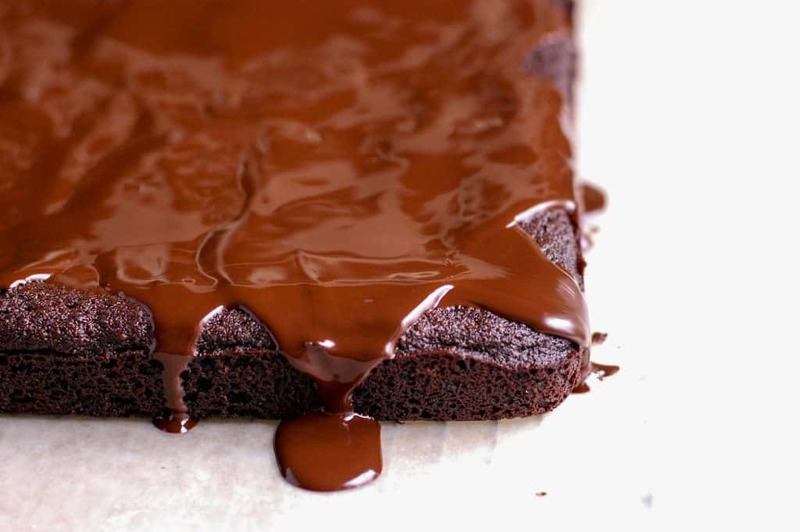 What makes these brownies paleo? If you are on a low carb or paleo diet, that doesn’t mean that you don’t have to have any dessert in your life. Fortunately for you, many of the recipes on my blog are paleo friendly. This means that there are each of the desserts are gluten-free and grain-free and are often made from alternative flours like almond flour, coconut flour, cassava flour, and anything that does not have any gluten in it. In addition to being gluten-free, paleo diet also consists of no dairy, so any of the recipes will use non-dairy alternatives like almond milk in place of regular milk and coconut oil or another paleo friendly alternative in place of butter. There is also no refined sugar in any of these treats. 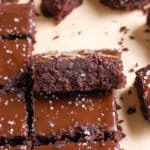 White sugar is not allowed on the paleo diet, so instead we use alternatives like coconut sugar and maple syrup to sweeten these easy paleo brownies. 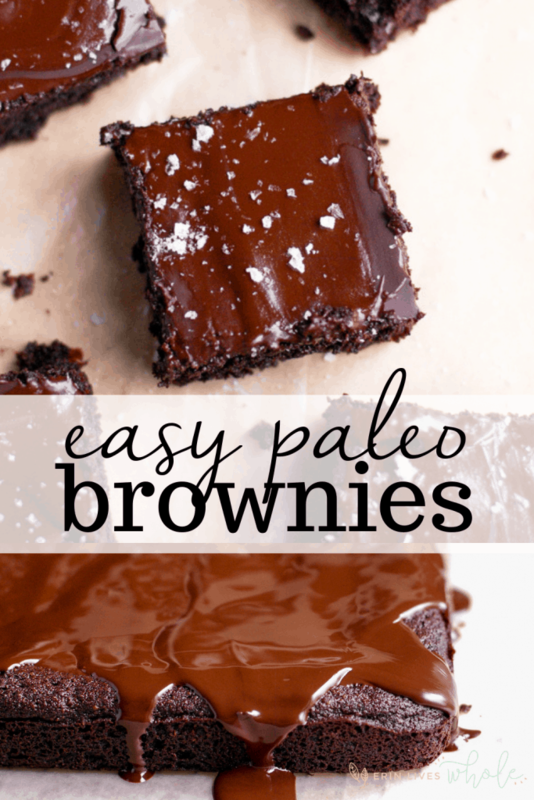 What are in these easy paleo brownies? 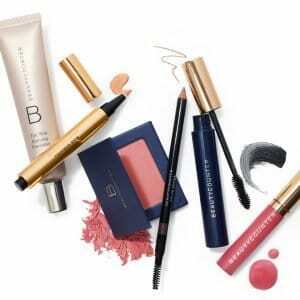 The list of ingredients is simple, can be found at many major grocery stores, but I love to buy a lot of the ingredients online! I find that by using Amazon Prime, the prices are almost the exact same as they would be at any regular grocery store. 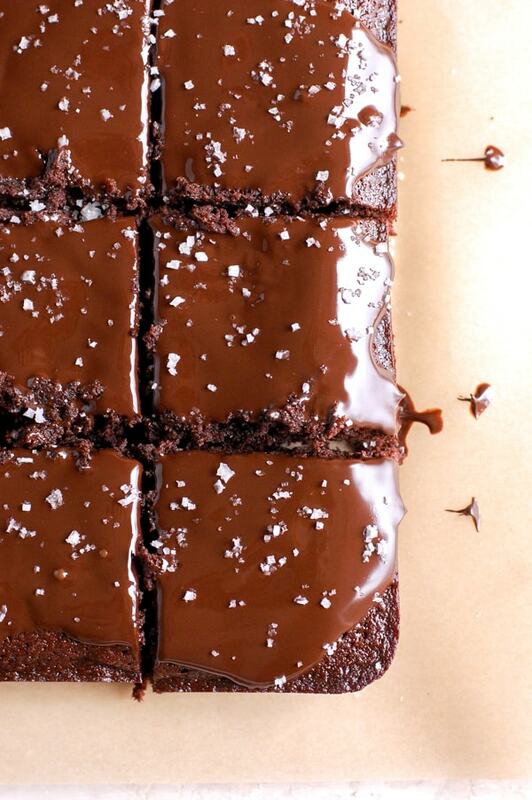 Are these healthy brownies easy to make? 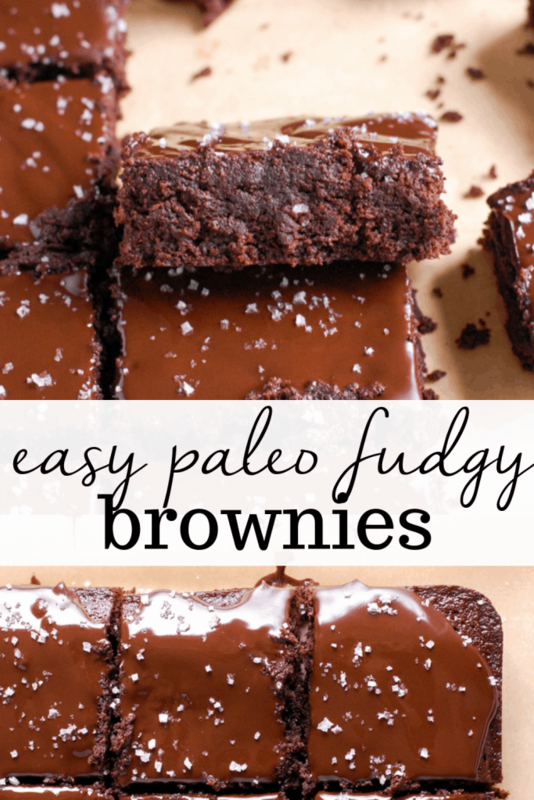 These easy paleo brownies are SO easy to make. I’m pretty sure that anyone, at any age, with any bit of cooking or baking experience could easily make these! 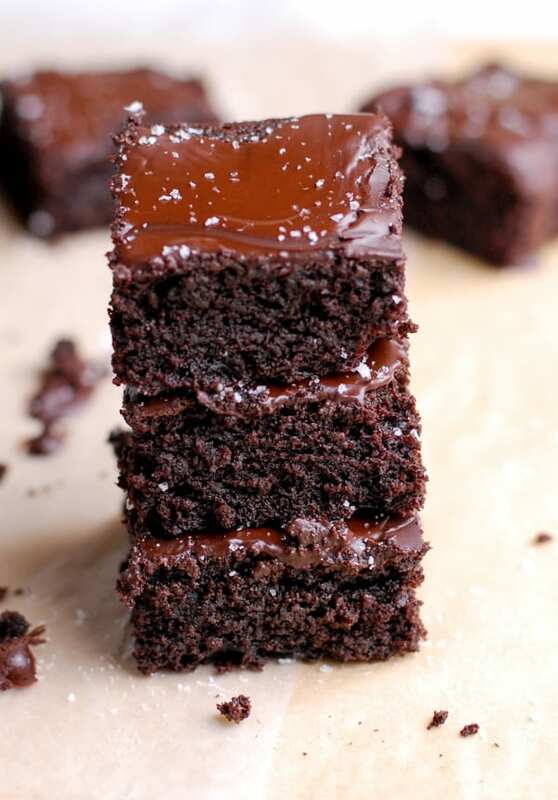 You just need to mix the dry ingredients together and then mix the wet ingredients together, then mix those both together and you’re set with an amazing brownie batter. 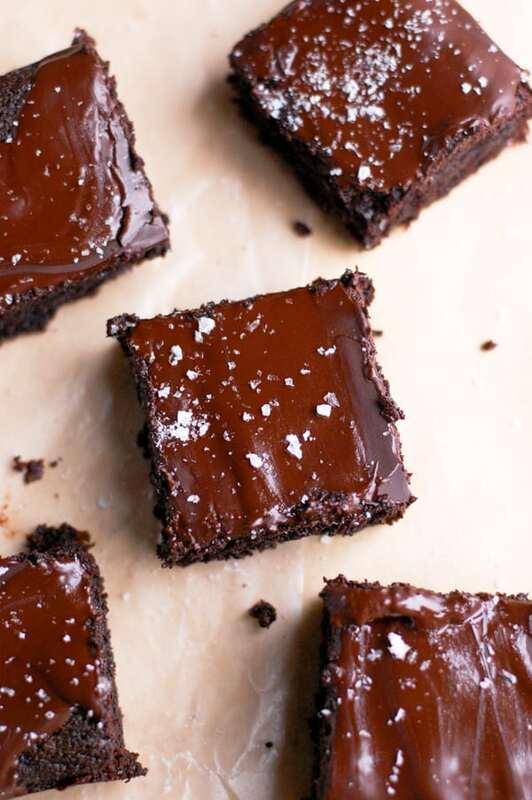 Pop em in the oven and then fifteen minutes later you’ve got a fudgy brownie made with healthy ingredients and no one will even know it isn’t the traditional brownie. Preheat oven to 350F and prepare an 8×8 baking dish with parchment paper or oil. In a large bowl, beat together eggs, coconut sugar, maple syrup, coconut oil, and vanilla. In a separate small bowl, stir together almond flour, cacao powder, baking soda and salt. Add dry ingredients to wet, stirring until fully combined. Pour batter into prepared dish and bake for 15-18 minutes or until toothpick comes out clean. Let cool completely before serving and store on counter or in fridge. Just made these and they are the best gluten free/paleo brownies I have ever tried!!! Amazing flavor perfect texture and easy. I have been looking for the perfect recipe for so long so thank you. All of your recipes I have tried have been perfect. So glad I found your blog. Michelle, that makes me so happy to hear!! I’m so happy that you are enjoying them.